A physician posting photos of himself drunk on Facebook. A YouTube video of medical students encased in body bags, drinking “blood” (actually chocolate) from plastic skulls. Those two incidents, cited by the American Medical Association as evidence that physicians aren’t immune to using social media unwisely, add to a growing body of evidence that proves the point. According to research published in The Journal of the American Medical Association, as many as 3% of tweets from 260 physicians with 500 or more followers during May 2010 included profanity, potential patient privacy violations, sexually explicit material, potential financial conflicts of interest or unsupported medical statements. And in a 2009 study published in the same journal, 60% of medical school deans surveyed dealt with students who had posted profanity, depictions of intoxication and sexually suggestive material online. Though many physicians consider social media a tool for strengthening relationships with patients, interacting with peers and publicizing opinions on issues, such communications also pose questions of ethics, privacy and liability, according to the AMA. In November 2010, the organization issued the first national guidelines governing physicians’ use of social media. 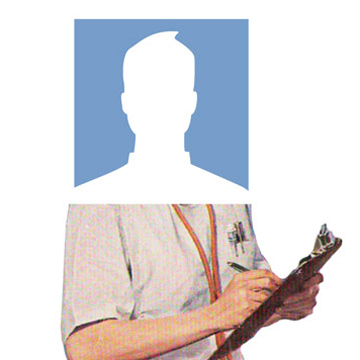 The AMA guidelines include general warnings against posting identifiable patient information. But because confidentiality issues may also arise when physicians allow patients to post on doctors’ blogs or Facebook pages, the rules include more technical advice, such as how to remove information patients post about their medical conditions. The AMA advice is meant not only to protect patients but also to help physicians avoid penalties that can be severe. Violations of the Health Insurance Portability and Accountability Act, which guards against unauthorized disclosure of individuals’ health information, may result in criminal fines of as much as $250,000 and imprisonment. Vartabedian says a good next step would be to provide case studies of real situations. For example, if a patient posts on a physician’s Facebook wall and the physician responds, that exchange could be viewed as establishing a physician-patient relationship. If that patient were to post a subsequent question and receive no reply, the physician might be held liable for not dispensing advice. Trouble could also arise if the patient lives in a state in which the physician isn’t licensed. Despite such issues, Vartabedian felt compelled to respond when he received a Facebook message from a mother with a sick four-month-old. Rather than continue the discussion online, he called the mother and saw the baby the next day. The legal ramifications will become clearer, says Rebekah A.Z. Monson, a health care attorney in Philadelphia. “There hasn’t yet been a landmark case about physicians and social media, but we’ll get there,” Monson says. Meanwhile, physicians—and patients—will need to tread carefully as they learn to make the most of these new media.